Update– 13 March 2011– Japan has been hit by a monster earthquake and tsunami. The epicentre of the quake was in Miyagi Prefecture. On 6 March, a week earlier, 50 whales beached in Ibaraki Prefecture, a little over 100 kilometres south. Twenty-two of the whales were refloated and saved. Update–22nd February 2011. There has been a devastating earthquake in Christchurch, New Zealand–much worse than the September quake. Two weeks ago, on 4th February, 82 pilot whales beached at Golden Bay, which is at the northern tip of the South Island and a few days earlier, at the end of January, 24 whales died after a stranding in the North Island. Back in 2004, Dr. Arunachalam Kumar, an anatomy professor at the medical college in Mangalore, India captured some headlines when he suggested that a massive stranding of whales off Tasmania on December 4, 2004 might be a warning of a major earthquake “within a week or two.” Three weeks later, the earthquake that triggered the Boxing Day tsunami occurred. On August 20, a pod of 73 pilot whales came ashore at Karikari Beach in Kaitaia, New Zealand. Nine were saved by teams attempting to refloat them but the rest died. When Dr. Kumar was informed of the beachings, he predicted that an earthquake and/or a massive volcano eruption would occur in the end of August or early September. Sure enough, on August 29, Mt. Sinabung, a volcano in Sumatra that had been dormant for years erupted unexpectedly. Then, on September 4th the 7.1 magnitude earthquake hit in Christchurch, New Zealand. Down here there have been a lot of psychics on the talk shows claiming that they had predicted the earthquake as well. But as far as I can tell, Dr. Kumar is the only person who documented his prediction. And has a track record of success. He also predicted an earthquake within four weeks of a mass whale stranding off Tasmania in late November 2008 and on January 4, 2009 three people were killed by a series of earthquakes in Indonesia. You can check out his blog here. I think he may be on to something, even though there are a lot of other academics who are sceptical. I can’t find any indication that he predicted the Haiti earthquake, but get this. That earthquake happened on January 12, 2010. On December 28, 2009, less than two weeks before the earthquake, over 120 whales died in two separate beachings in New Zealand. There are all sorts of theories about why whales beach themselves and seem to have a preference for Australian and New Zealand beaches. For one thing, apparently NZ is on the migration route of many whales as they head to their breeding grounds in the South Pacific so there is a lot of whale traffic in the area. Whale beaching theories include things like climate changes or El Niño. Changes in the temperature of ocean currents may make the whales’ food supply move around. If the plankton they eat move close to shore, and the shore is long and sloping, the whales’ sonar may become confused and they become disoriented and just run up on the beach. Timing is everything and if the tide is going out they can be stranded. Scientists think that the reason the strandings involve so many whales at one time is because if one gets into trouble it alerts the pod and they rush in trying to help and they get stuck too. Other theories involve toxins from human activity and especially noise pollution, particularly submarines, which emit sonar pulses and all the blasting and drilling that goes along with oil exploration. 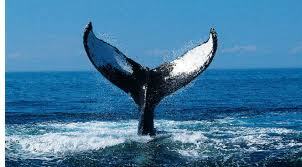 The sound may disturb the whales own sonar so they become disoriented. They’ve actually done experiments and found that whales exposed to certain sound waves could not store nitrogen in their blood as efficiently as they should. As a result when they dive deep and come up they get something very much like humans get when they don’t decompress properly. In humans it’s called the bends and when you get the bends, you get disoriented. It may be true. The types of whales that beach most are ones who dive deepest. And beachings have often been associated with naval exercises in the area. But back to whales and earthquakes, they say that animals sense these things in advance and it may be that the whales are picking up vibrations or something as the forces that cause earthquakes reach the breaking point. 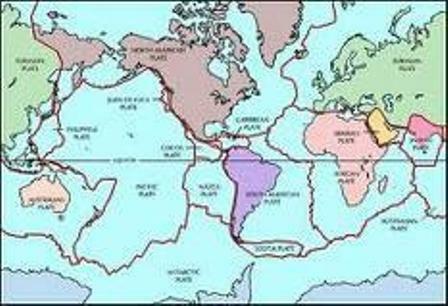 This would be the movement of the tectonic plates as Dr. Kumar suggests. I talked to friends in Christchurch and asked them if there had been any reports of animals behaving strangely right before the earthquake. A number of people had stories of their dog or cat behaving unusually. The most extreme example was a person whose dog actually jumped on their bed and woke them up minutes before the earthquake. In any event, a number of people said that they were woken up shortly before the quake by birds making a lot of noise. At four in the morning. The official explanation is that the worms, feeling the vibrations or something, were moving to the surface and the birds were literally following the old adage of the early bird gets the worm. I guess if worms feel something, it’s not unreasonable to imagine that whales, who communicate by sound would also sense unusual energies. All this is interesting, and a little bit scary. But the problem with all of it is that you can find evidence to prove just about anything. And as my statistics lecturer used to say (the only thing I remember) “correlation does not mean causality.” Just because you can link whale beachings and earthquakes doesn’t necessarily mean that one causes the other. But I guess the bottom line is that the next time you hear about a whale stranding you should ask whether there’s been an earthquake or volcanic eruption recently. If the answer is no, watch out! This is really interesting, Tom…food for thought! Whales probably hear and feel seismic shifts under the ocean. My guess. Hope you did not have a problem or damage. Not exactly sure if the quake happened in your vicinity. Hopefully you are all right. Thanks! We are well alway from Christchurch so we didn’t feel anything. It is a huge disaster, however, and it’s amazing that there was no loss of life. Perhaps we should try to construct listening devices that pick up the frequencies that whales hear but we don’t, and then some more frequencies for good measure. We might be able to “hear” trouble far down below…. Very interesting reading. Andreas may be on to something with listening devices and maybe they could predict these events earlier. Love the new header on your blog. Looks very peaceful and inviting. Thanks! The picture was taken by a friend of mine–it’s from the Cuyahoga Valley National park near Cleveland. Thanks for the info. about the possible correlation between whale strandings and earthquakes. Being a native Californian, I have heard many stories about animals’ behavior prior to earthquakes. Also, there were certain times of the year that we dubbed “earthquake weather” when they were more likely to occur. Glad you weren’t affected personally! Tom, was wondering how you were doing in the Shaky Isles. Seems the whales did service for people — died in their stead. Fascinating idea about their sensitivity to changes in the earth. All’s well with us, thanks! I like your comment on the idea of the whales doing a service for people. In 2005 I wrote a story called “Save the Whales?” about that very subject. I just put it on line on my short stories page. I agree. It’s always nice when someone exposes you to a concept or thought that is entirely novel. I just went whale watching – saw lots of blue whales and fin whales. I think the sheer number of them predicts I’ll have a boyfriend soon. 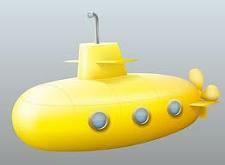 I’d like to ride in that little yellow submarine. You mean you are expecting to feel the ground move under your feet? Great piece, Tom! I agree, animals do know more and can sense things we humans cannot. If only we coud harness the power to make earlier predictions in order to save lives. My sis-in-law is in Chrristchurch. No major damage but the fear and anxiety of not knowing what will happen next is hard to overcome when you are caught by surprise. Thanks, and glad everyone is OK.
A very good post. And the questions it raises are fascinating and yes, a little bit scary. I am more busy at present. But I will come back. I suspect a causal link, albeit a reverse one. I.e., it may actually be the whale beachings that cause the earthquakes rather than vice versa. I imagine if a large number of heavy creatures plunk down on a solid surface, the force of the plunking is transmitted toward the earth’s core, and these vibrations may conceivably constitute the final straw which sets into motion the subsequent readjustment of certain tectonic plates. A very plausible thesis! Which also raises some fairly grave concerns about the obesity epidemic–maybe someone should try to correlate the timing of Zumba classes and earthquakes? How intrigueing regarding the connection to whales and earthquakes.. then again animals do sense thunder etc. Makes sense! Tom, your short story on the whales is brilliant! How amazing you should have written abou t whales sacrificing themselves for humans! Do you ever shop your stories to publishers? You’ve got a deft touch with dialogue, and the pacing is so good. Thanks very much for reading the story and for your feedback. Glad you enjoyed it. Yes, I regularly send stories to contests, magazines, etc. I can’t speak for whales, but animals in general are far more attuned to seismic disturbances than they generally get credit for. There is more than enough evidence to prove that. I’ve seen studies that also link phases of the moon to quakes, and scientists who have taken in both animal behavior and lunar predictions have been able to make startlingly accurate earthquake predictions. Uh oh, whales have just stranded again in Northland NZ. Yes, I just heard the news–hope this stranding proves the good doctor wrong! And just today, yet another stranding in New Zealand. 80 pilot whales stranded in a remote bay about 90km north of Kaitaia, Northland, New Zealand. Are we in for another big earthquake??? Has happened again- Sept 22 – 80 whales stranded – Sept 25th – quake hits lower north island. luckily – epicentre was 200km deep. I heard about the Tokaroa quake last night but didn’t feel anything. I hope that is the one the whales were feeling! wow!! that is certainly something to think about. such a shame these beautiful creatures have to die at all. i would prefer to think it has something to do with an event we cant control rather than that we are the cause. if his theory is correct then… perhaps the authorities should take notice. thanks for a brilliant post, I really love reading your blogs. This article was written a while ago and now in 2011 New Zealand have just had a massive whale beaching followed by a sad earthquake. Do we need any more evidence to prove that whales are able to predict earthquakes? Very well done with the story Thomas!! wow! just re-read this article and it sure is something!! 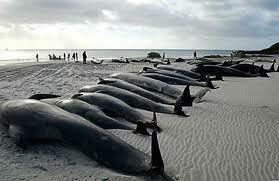 how sad that so many whales have to die, whatever the reason. they are such beautiful creatures. thanks again for this thoughtprovoking post. all the best. I will certainly be more aware for the future. Many blue whale sitings off of CA in USA. No beachings yet. I liked the blog…was looking for a link between whales and vibrations leading to volcanic activity and earthquake (movement). Thanks Cindy. Since doing this post I’ve heard from a lot of people with interesting insights and they say that actual whale behavior, not only beachings, are a possible indicator. So the sudden appearance or disappearance of whales in an area might indicate that they have been disturbed by seismic activity. Thanks Joni. It sounds like you guys have had a few rumbles over the past few days–hope nothing more serious happens. I have noticed that my horse Nate, who is normally hard pressed to move fast at the best of times becomes very active before earthquakes, he gets down and rolls on the ground then gets up, bucks and zooms around bucking and pig jumping then rolls and repeats performance. The February quake happened half an hour after observing this behaviour. Every time I have seen him do this since, an after shock has followed, not necessarily straight away but within a few hours. We now call him Natradamus!